Don’t wait. This is the weekend. We have it on good authority that the clouds currently enveloping Aspen will blow out by the weekend and we will be seeing the absolute peak of the fall colors in the Castle Creek Valley! For those not as familiar with our geography, the Castle Creek Valley lies just to the south-west of Aspen, and is easily accessible via Castle Creek Road (running from the roundabout right outside town). With incredible contrasts between Aspen groves and fir trees, and with Castle Creek at its heart, the Castle Creek Valley puts forward a strong argument as the hiking around Aspen. American Lake is the valley’s signature hike. At 3.2 miles each way, and covering nearly 2000ft in elevation gain, it is not for the faint of heart. You will, however, be justly rewarded. You will enter a large grove of Aspen trees, before emerging into a spruce forest and intermittent alpine meadows. The emerald green water of American Lake is the perfect spot for a packed lunch. For those preferring a more gourmet meal, the Pine Creek Cookhouse is located just a mile or two further up Castle Creek Road and will most certainly satisfy any hunger! They are open for lunch and dinner through October 7th. Fall - our favorite season?? The summer season is drawing to a close in Aspen. We’ve seen the end of the Aspen Music Festival and School. The Silver Queen Gondola is now running only on weekends. The Motherlode volleyball tournament came and went. And now, with the Jazz Aspen Snowmass Labor Day music festival over with for another year, the start of fall in Aspen has been signaled. We could not be more excited! 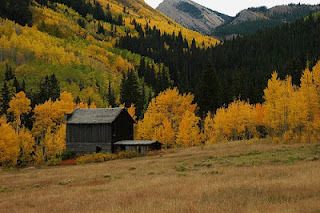 Fall presents many opportunities for both visitors and locals alike in Aspen. A surreal peace washes over the town following the non stop hustle and bustle of summer. The crowds are thinner. The line outside Paradise Bakery becomes manageable. Restaurants are still humming along but not jam packed, often offering reasonably priced specials your wallet will thank you for. Your chances of finding a parking space in town are increased, although our complimentary guest shuttle can help you avoid that problem. 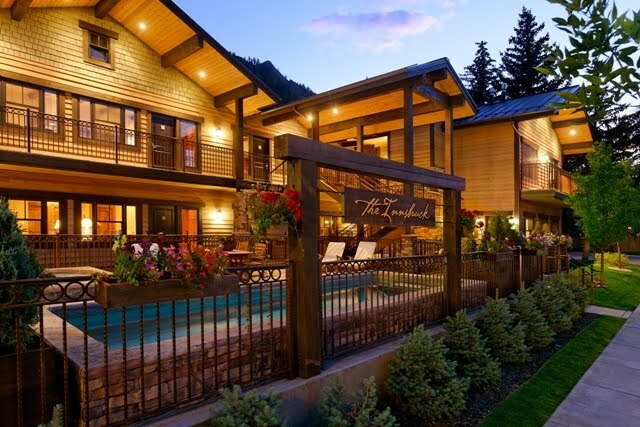 The true attraction though is what is sometimes overlooked during the busier months – our stunning location in the heart of Colorado’s Rocky Mountains! The weather in fall is nigh on perfect here in Aspen. Sunny days kick off with a fresh start – what better way to start the day than a nice cup of coffee on a crisp mountain morning? Temperatures rise in proportion with the sun’s position in the sky, and all the activities that seemed a little unappealing in the heat of the summer months suddenly become far more attractive – tennis, cycling, hiking. And what hiking! The colors on display are nothing short of spectacular! I challenge you to not be amazed when you Google image “fall colors in Aspen”. I’ll wait while you pick your jaw up off the ground. Highly recommended are the Cathedral Lake and American Lake out-and-back hikes in the Castle Creek Valley – will full colors on display, these hikes will rival any you can think of. As the saying goes, “you come for the winter, but you stay for the summer”. Fall might just be more impressive than both of those seasons!